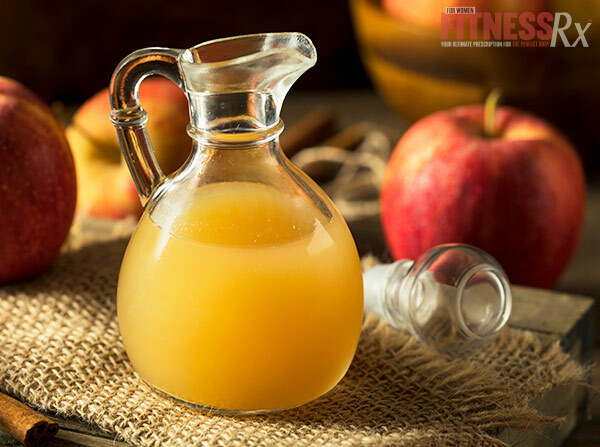 Apple cider vinegar has been shown to have health benefits, which is the reason many people are adding to their diet. But did you know that it can also contribute to weight loss and improve your appearance? A study published in the Journal of Agricultural and Food Chemistry found that adding a few teaspoons of apple cider vinegar in your daily diet can slow fat accumulation, which may help you feel fuller. Pectin and acetic acid present in apple cider vinegar can suppress appetite and increase metabolism respectively, so just adding apple cider vinegar mixed with water before meals can result weight reduction over time. A Swedish study published in the European Journal of Clinical Nutrition and a registered dietitian Katherine Zeratsky of MayoClinic.com showed that many patients using apple cider vinegar lowered their blood sugar and made them feel fuller for longer time, and also improved digestion. When our digestion works properly it also helps our metabolism. So how much apple cider vinegar is effective? Dr. D.C. Jarvis recommends one to two teaspoons of apple cider vinegar mixed in water before any meal to reduce weight, the same as the other studies that I mentioned before. Dr. Jarvis explained this theory in this book “Folk Medicine” and he also talked about mixing honey with vinegar in equal parts to boost metabolism and increase weight loss. Many other studies show that apple cider vinegar can reduce weight because it helps regulate insulin. Dr. Carol Johnston, professor and associate director of the Nutrition Program in the School of Nutrition and Health Promotion at Arizona State University, said that acetic acid, the chief chemical present in vinegar, may interfere with body’s starch digestion ability. This is especially important for people who don’t have good insulin resistance. There are plenty more studies that show the weight-loss benefits of apple cider vinegar. The best options are unrefined and organic, and make sure you look at the expiration date of the bottle. • Add in your salads with some olive oil. • A tablespoon of unfiltered apple cider vinegar before exercising may help to prevent muscle pain and muscle cramps because it contains vitamins and minerals that replenish electrolytes. • Apple cider vinegar has potassium, a key mineral element that helps in converting food into energy, assists in building muscles and is important for metabolism and the fat-burning process. • Some people recommend adding apple cider vinegar to shampoo twice per month to clean hair and get a shiner look. • Apple cider vinegar contains malic acid, has antibacterial and antiviral properties important for a healthy gut. • Cleaning your house using apple cider vinegar is natural and safe. • Apple cider vinegar is an amazing antibacterial and antifungal organic ingredient you can use on your pets.